New York World-Telegram and Sun Newspaper Photo Collection. Oct. 14, 1939. 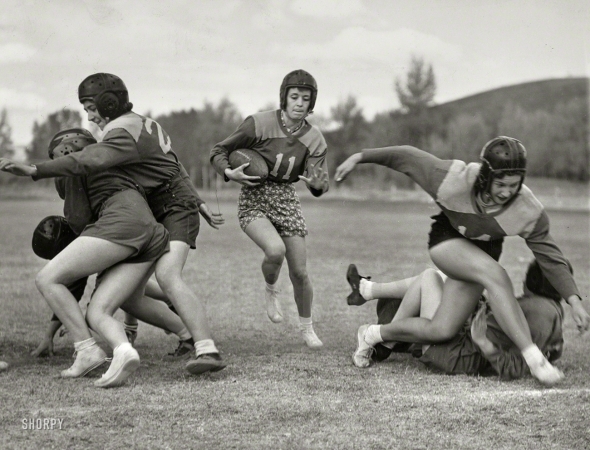 "Captain Alice Shanks, carrying football, in Powder Bowl at Gunnison, Colorado."